It’s happening! 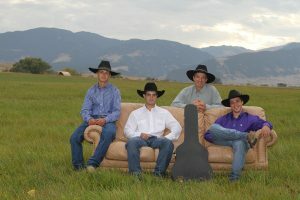 The boys are coming back to town and they’re bringing The Munsick Family Christmas show with them. Whether this is your first or your twelfth year at the show, you can expect the unexpected – songs that range from hand forged originals and old favorites to newly discovered treasures. Get your tickets early for an evening of stories and songs, an invitation to join into the lives and times of a family for an event that’s become part of a Sheridan custom. This has become the traditionally non traditional way that the Munsicks say Merry Christmas and thank you to Sheridan. It’s a thank you that you won’t want to miss.